One of the best things about being a homeowner is having a plot of land to call your own, where you can enjoy nature in the peace of your own backyard. 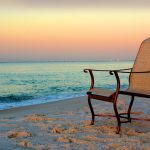 While enjoying sunshine, fresh air and maybe even a splash in the pool is always welcome, let’s face it – there are some aspects of outdoor living that even the most ardent nature lover could do without, including insects, pollen, mosquitos, and other nuisances. Phifer manufactures outdoor pool and patio screen to block bugs and allow you to enjoy the great outdoors in comfort. 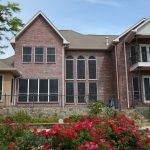 Backed by more than 60 years of manufacturing and innovation expertise, our screening is suitable for use in a variety of screening projects to build the patio screen enclosure of your dreams. Similarly, many of the same screening products we offer are excellent for use in pool cages and enclosures -- keeping bugs out and cool breezes inside when you’re enjoying the pool, and keeping your pool free from leaves and other debris when you’re not using the pool, too. Which Phifer screening product is right for your pool and patio needs? We’ll walk you through available pool and patio screening options to help you narrow your choices and find a screen that best suits your needs. Need to Keep Small Insects Out of a Large Area? If you live in Southeastern or Southwestern parts of the U.S., you’ve probably dealt with no-see-ums. Sometimes referred to as sandflies, blackflies or midges, these ultra-tiny insects can cause painful bites and can take the enjoyment out of a summer BBQ or a day by the pool. Reclaim your porch by outfitting it with Phifer’s specially-designed No-See-Ums 20x20 mesh screening. 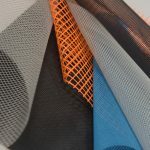 The ultra-tightweave of our No-See-Ums screening keeps out tiny bugs and allows cool breezes to flow through. Our 18x14 Fiberglass Pool and Patio Insect Screening also stands as the gold standard for keeping out tiny insects while reducing wind-blown debris inside your patio enclosure or your pool. Made from durable, breathable fiberglass,18x14 is an excellent choice for screening a large area. Our TuffScreen® No-See-Ums screening offers the best of both worlds. 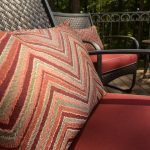 Finely woven polyester mesh keeps out tiny insects, and its rugged construction can stand up to the most active kids or playful pets that frolic on your patio or by the pool! Made from 18x14 fiberglass mesh, Phifer Glas-Shield screening is vinyl-laminated. Its construction makes it a great fit for homeowners who want added privacy with their patio enclosure or pool cage. Our Glas-Shield screening is ideal for use in lower enclosure panels of a patio or pool cage to keep dirt and debris out. While Glas-Shield is an excellent choice for vertical applications (such as walls), it is not made to be used in roofing applications. Need an outdoor patio screen that’s able to withstand heavy traffic and playfulpets? Our TuffScreen®, TuffScreen® No-See-Ums, and PetScreen® screening products are the perfect choice! If you live in a region plagued by tiny insects, look to our TuffScreen No-See-Ums to keep bugs out and kids and pets safely corralled inside your pool or patio enclosure. For families with rambunctious two-legged and four-legged family members, both our TuffScreen and PetScreen products are tear resistant and puncture resistant, able to withstand clawing and pawing. Made from resilient, durable materials, they’re able to tackle rough n’ tumble play -- even if that means the kids (or some adults) get a little carried away with a whiffed catch of a football or baseball! 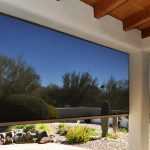 While our TuffScreen and TuffScreen No-See-Ums screening products can double as both pool and patio screening, our PetScreen is best used in patio, door and window applications. Thinking of going the DIY route and installing or replacing patio and pool screening yourself? It’s a lot easier than you may think! Check out our installation guide for some tips on the tools you’ll need to do it yourself. Still not sure which of our pool and patio screening products are the right fit for your needs? Take our insect screening quiz​! If you’d rather chat one-on-one to get a better understanding of which of our screening products would work best for your home patio enclosure or pool cage, contact us via phone or online. We’d be delighted to chat and answer any and all of your questions about our insect screening so you can buy with confidence. If you like to see what you buy before you buy it, we can also help you find a local Phifer retailer in your area. Or, if you prefer to do your shopping online, we’ll point you in the right direction to find Phifer products.